a gift for each child. "I&apos;d like to extend special thanks to event sponsor Emma Willard School for their generous support of this special event, and of course, to our Action Council members whose effort and imagination create a magical holiday experience for guests," said White. The Nutcracker, composed in 1891 by Tchaikovsky, is a fairy tale ballet that tells the story of a little girl&apos;s journey through a fantasy world of fairies, princes, toy soldiers and an army of mice. First performed in 1892 in St. Petersburg, Russia, it has become an American classic since choreographer George Balanchine introduced his production in 1954 in New York City. 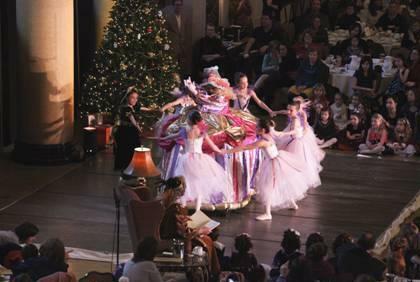 Tickets for the Nutcracker Tea are still available at http://www.spac.org/ or by contacting Alyssa McClenning at 518-584-9330 ext. 121, amcclenning@spac.org.